NOTE: Read about NATO and ballistic missile defense under “Background” below the questions. (by Robin Emmott, Reuters) DEVESELU, ROMANIA | The United States switched on an $800 million missile shield in Romania on Thursday that it sees as vital to defend itself and Europe from…rogue states but the Kremlin says is aimed at blunting its own nuclear arsenal. “As long as Iran continues to develop and deploy ballistic missiles, the United States will work with its allies to defend NATO,” said U.S. Deputy Defense Secretary Robert Work, standing in front of the shield’s massive gray concrete housing that was adorned with a U.S. flag. Despite Washington’s plans to continue to develop the capabilities of its system, Work said the shield would not be used against any future Russian missile threat. “There are no plans at all to do that,” he told a news conference. “This is for the broader defense against a threat that is outside the Euro-Atlantic area of operations,” he said. Before the ceremony, Frank Rose, deputy U.S. assistant secretary of state for arms control, warned that Iran’s ballistic missiles can hit parts of Europe, including Romania. When complete, the defensive umbrella will stretch from Greenland to the Azores. On Friday, the United States will break ground on a final site in Poland due to be ready by late 2018, completing the defense line first proposed almost a decade ago. The full shield also includes ships and radars across Europe. It will be handed over to NATO in July, with command and control run from a U.S. air base in Germany. Russia is incensed at such of show of force by its Cold War rival in formerly communist-ruled eastern Europe. Moscow says the U.S.-led alliance is trying to encircle it close to the strategically important Black Sea, home to a Russian naval fleet and where NATO is also considering increasing patrols. “It is part of the military and political containment of Russia,” Andrey Kelin, a senior Russian Foreign Ministry official, said on Thursday, the Interfax news agency reported. “These decisions by NATO can only exacerbate an already difficult situation,” he added, saying the move would hinder efforts to repair ties between Russia and the alliance. Russian President Vladimir Putin’s office said Moscow also doubted NATO’s stated aim of protecting the alliance against Iranian rockets following the historic nuclear deal with Tehran and world powers last year that Russia helped to negotiate. “The situation with Iran has changed dramatically,” Putin’s spokesman Dmitry Peskov said. Poland is concerned Russia may retaliate further by announcing the deployment of nuclear weapons to its enclave of Kaliningrad, located between Poland and Lithuania. Russia has stationed anti-aircraft and anti-ship missiles there, able to cover huge areas and complicate NATO’s ability to move around. The Kremlin says the shield’s aim is to neutralize Moscow’s nuclear arsenal long enough for the United States to strike Russia in the event of war. Washington and NATO deny that. “Missile defense … does not undermine or weaken Russia’s strategic nuclear deterrent,” NATO Secretary-General Jens Stoltenberg said at the Deveselu base. However, Douglas Lute, the United States’ envoy to NATO, said NATO would press ahead with NATO’s biggest modernization since the Cold War. “We are deploying at sea, on the ground and in the air across the eastern flanks of the alliance … to deter any aggressor,” Lute said. At a cost of billions of dollars, the missile defense umbrella relies on radars to detect a ballistic missile launch into space. Sensors then measure the rocket’s trajectory and destroy it in space before it re-enters the earth’s atmosphere. The interceptors can be fired from ships or ground sites. The Romanian shield, which is modeled on the United States’ so-called Aegis ships, was first assembled in New Jersey and then transferred to the Deveselu base in containers. While U.S. and NATO officials are adamant that the shield is designed to counter threats from the Middle East and not Russia, they remained vague on whether the radars and interceptors could be reconfigured to defend against Russia in a conflict. The United States says Russia has ballistic missiles, in breach of a treaty that agreed the two powers must not develop and deploy missiles with a range of 500 km (310.69 miles) to 5,500 km. The United States declared Russia in non-compliance of the treaty in July 2014. The issue remains sensitive because the United States does not want to give the impression it would be able to shoot down Russian ballistic missiles that were carrying nuclear warheads, which is what Russia fears. NOTE TO STUDENTS: This is a complicated story. As you read, circle the names of people (officials, leaders, experts) and dates. Underline or highlight key words and phrases. When you read it a second time, you can easily see which points you identified as important. After reading this article, you will know more than many adults do about the U.S./NATO missile defense shield in Europe. 2. 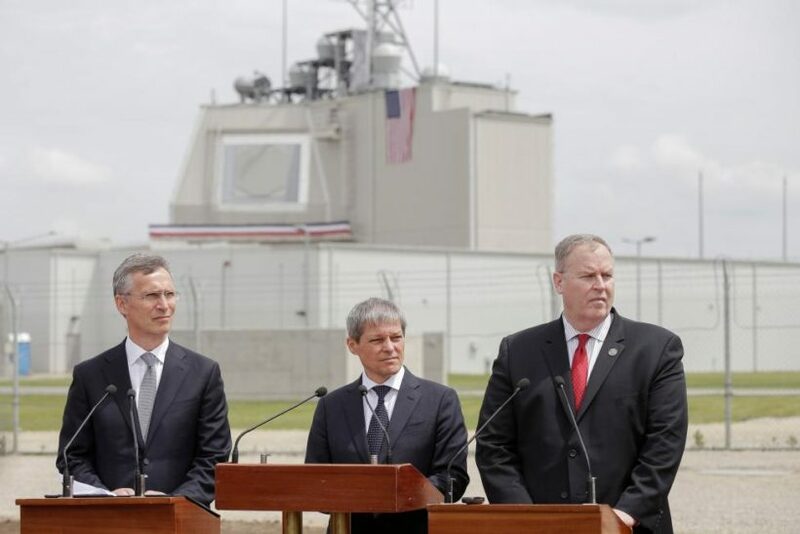 What is the aim of the U.S. missile defense shield in Romania? 3. Why is Russia angry about this missile defense system? What have they said? Be specific. 6. 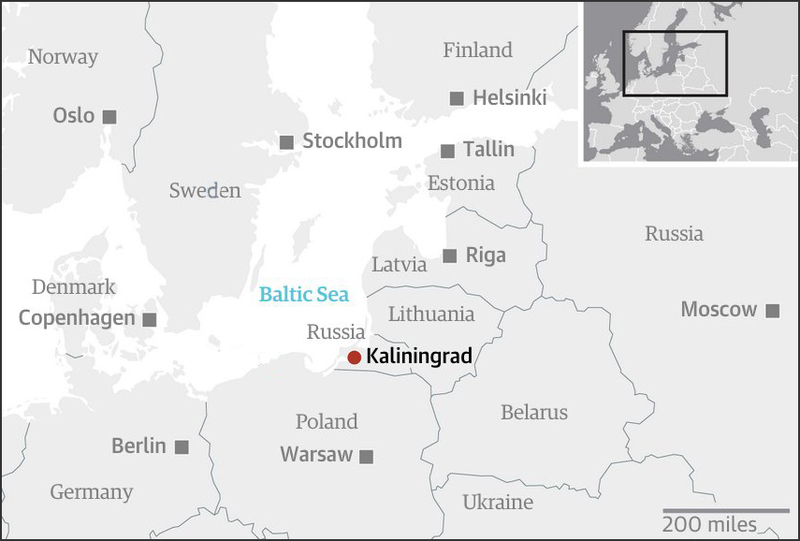 What action has Russia taken recently in Kaliningrad? 7. a) What is the purpose of NATO? b) How does Doug Lute, the U.S. envoy to NATO, explain the establishment of the missile defense system in Europe? 8. U.S. officials say the missile defense shield will be used to thwart Iran. In May 2015, President Obama and other world leaders signed an agreement with Iran ending sanctions imposed over the Iranian government’s nuclear program. Ben Rhodes is Deputy National Security Advisor for Strategic Communications for President Obama and an Advisor on the 2015 Iran Nuclear Deal. In an interview with the New York Times last week, Rhodes bragged about how he helped create the false narrative that President Obama started negotiations with Iran only after the supposedly moderate Hassan Rouhani was elected president in 2013. But negotiations had actually began when strongman Mahmoud Ahmadinejad was still president. Rhodes said they created that false story because the American public would not have accepted the deal had it known that Iranian hard-liners were still calling the shots. Rhodes concedes in the article that the so-called moderate regime is not moderate at all. “We’re not betting on it,” he said. What do you think then is actually true about the purpose of the U.S. missile defense shield: it is to protect against the Iranian regime or against Russian aggression? Ask a parent if you’re not sure. (Also ask a parent, which presidential candidate would you trust in foreign policy matters such as these? Please explain your answer. The North Atlantic Treaty Organization (NATO) is an alliance of 26 countries from North America and Europe committed to fulfilling the goals of the North Atlantic Treaty signed on April 4, 1949. NATO was established to counter the risk that the Soviet Union would seek to extend its control of Eastern Europe to other parts of the continent. A ballistic missile is a missile that follows a sub-orbital ballistic flightpath with the objective of delivering one or more warheads (often nuclear) to a predetermined target. National missile defense (NMD) as a generic term is a type of missile defense: a military strategy and associated systems to shield an entire country against incoming Intercontinental Ballistic Missiles (ICBMs) or alternately more short-range ballistic missiles. The missiles could be intercepted by anti-ballistic missiles, or possibly by lasers. They could be intercepted near the launch point (boost phase), during flight through space (mid-course phase), or during atmospheric descent (terminal phase). Missile defense is a system, weapon, or technology involved in the detection, tracking, interception and destruction of attacking missiles. Originally conceived as a defense against nuclear-armed ICBMs, its application has broadened to include shorter-ranged non-nuclear tactical and theater missiles. The initiative focused on strategic defense rather than the prior strategic offense doctrine of mutual assured destruction (MAD), that assumed that neither side would start a nuclear war because it would not be able to avoid imminent destruction. Reagan’s “Star Wars” program drew the Soviets into a costly effort to mount a response. The race depleted Soviet funds and triggered the economic difficulties that led to the collapse of the Soviet Union in 1991. (Many in the media and liberal circles ridiculed President Reagan for being a warmonger AND a dunce; they did not understand the necessity of a missile defense system).